Time is a funny thing. There never seems to be enough — yet there is an infinite amount. Time slips through moment upon second into eternity past; yet present, to begin the future. Time is thought to be unstoppable in its relentless push towards the future. Humans perceive themselves as bound up in time as an insect in amber. Forever imprisoned and forced to reconcile with the regularity and inevitability of change. The past is gone — the present, fleeting — and the future is unknown. Or is it? If a Merseyside policeman by the name of Frank was asked, he may have an entirely different opinion on the subject of time. Suddenly, a small box van that looked like something out of the 1950s sped across his path, honking its horn as it narrowly missed him. Frank noticed the name on the van’s side: “Caplan’s.” When he looked down, the confused policeman saw that he was unexpectedly standing in the road. The off-duty policeman crossed the road and saw that Dillons Book Store now had “Cripps” over its entrances. More confused, he looked in to see not books, but women’s handbags and shoes. Looking around, Frank realized people were dressed in clothes that appeared to be from the 1940s. Suddenly, he spotted a young girl in her early 20’s dressed in a lime-colored sleeveless top. The handbag she was carrying had a popular brand name on it, which reassured the policeman that maybe he was still partly in 1996. It was a paradox, but he was relieved, and he followed the girl into Cripps. Frank’s experience is not that unusual in the realm of strange phenomenon. There is even a name given to such events — time slips. A time slip is an event where it appears that some other era has briefly intruded on the present. A time slip seems to be spontaneous in nature and localization, but there are places on the planet that seem to be more prone than others to time slip events. 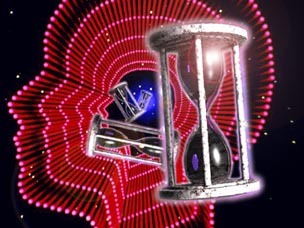 As well, some people may be more inclined to experience time slips than others. If time then is the unmovable force that physicists say it is, why do some people have experiences that seem to flaunt this concept? Time travel, according to modern scientific theory, may still be beyond our grasp. Yet for a number of people who have had unusual time slip experiences, time may be easier to circumnavigate than expected. A classic example of a time slip can be seen in a note from Lyn in Australia. Lyn had read the book, Time Travel: A How-To Insiders Guide, (Global Communications, 1999) and thought her experience was similar to others featured in the book. “I was driving toward the main intersection of the town, when suddenly I felt a change in the air. It wasn’t the classic colder feeling, but a change, like a shift in atmosphere. The air felt denser somehow. As I slowed at the intersection, I seemed to be suddenly transported back in time to approximately 1950. The road was dirt, the trees were gone and coming toward me to cross the intersection was an old black car, something like a Vanguard or old FJ Holden. As the car passed through the intersection the driver was looking back at me in total astonishment before he accelerated. From what I could see he was dressed in similar 1950s fashion, complete with hat. Derek E. tells another interesting time slip story. When he was a child, his father was a taxi driver in Glasgow, Scotland. One day in the late 1960s, Derek’s father was driving in the north of the city along Maryhill Road near Queen’s Cross, one of the older parts of town and once its own separate community outside the city. Derek also reported that in the 1980’s, he and his wife were on a driving holiday in the North York Moors in England. They went to a tiny coastal village called Staithes, which had a steep winding and narrowing road down to the harbor, with the entrance to the houses and narrow footway at a higher level of three or four feet. Derek’s experience seems strikingly similar to traditional ghost stories. 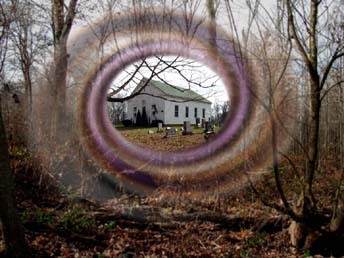 Many ghost sightings are readily explained as individuals who appear out of their normal location or time; but often the ghost also seems to change the surroundings of the witness, giving the impression of a time slip. What is open to question is whether these are glimpses into another time or does the witness or the ghost actually travel in time? Perhaps it is simply different sides of the same coin. Jeffrey cites the case of Alice Pollock, who at Leeds Castle in Kent “experienced what could be called a ‘classic’ time slip. Alice was experimenting in Henry VIII’s rooms by touching objects in an attempt to experience events from another time. After a period of receiving no impressions whatsoever, the room suddenly changed. It lost its modern, comfortable appearance to become cold and bare. The carpet had disappeared and there were now logs burning on the fire. A tall woman in a white dress was walking up and down the room; her face seemed to be in deep concentration. Not long after, the room returned to its original state. It could be that the witness triggers time slips, whether they blank their mind at a precise moment and the slip occurs, or the witness touches something that holds the memory of a previous time. The classic of time slip tales occurred in August 1901, when two Englishwomen on holiday, Annie Moberly, Principal of St. Hugh’s College in Oxford and Dr. Eleanor Frances Jourdain, visited Paris. After a short stay in the capital, they went on to Versailles. After visiting the palace they began searching for the Petit Trianon but became lost. As they wandered the grounds, both women began to feel strange, as if a heavy mood was oppressing their spirits. Two men dressed in “long greyish-green coats with small three-cornered hats” suddenly appeared and directed the women to the Petit Trianon. They strolled up to an isolated cottage where a woman and a 12- or 13-year-old girl were standing at the doorway, both wearing white kerchiefs fastened under their bodices. The woman was standing at the top of the steps, holding a jug and leaning slightly forwards, while the girl stood beneath her, looking up at her and stretching out her empty hands. “She might have been just going to take the jug or have just given it up I remember that both seemed to pause for an instant, as in a motion picture,” Dr. Jourdain would later write. The two Oxford ladies went on their way and soon reached a pavilion that stood in the middle of an enclosure. The place had an unusual air about it and the atmosphere was depressing and unpleasant. A man was sitting outside the pavilion, his face repulsively disfigured by smallpox, wearing a coat and a straw hat. He seemed not to notice the two women; at any rate, he paid no attention to them. The Englishwomen walked on in silence and after a while reached a small country house with shuttered windows and terraces on either side. A lady was sitting on the lawn with her back to the house. She held a large sheet of paper or cardboard in her hand and seemed to be working at or looking at a drawing. She wore a summer dress with a long bodice and a very full, apparently short skirt, which was extremely unusual. She had a pale green fichu or kerchief draped around her shoulders, and a large white hat covered her fair hair. At the end of the terraces was a second house. As the two women drew near, a door suddenly flew open and slammed shut again. A young man with the demeanor of a servant, but not wearing livery, came out. As the two Englishwomen thought they had trespassed on private property, they followed the man toward the Petit Trianon. Quite unexpectedly, from one moment to the next, they found themselves in the middle of a crowd–apparently a wedding party–all dressed in the fashions of 1901. On their return to England, Annie Moberly and Eleanor Jourdain discussed their trip and began to wonder about their experiences at the Petit Trianon. The two began to wonder if they had somehow seen the ghost of Marie Antoinette, or rather, if they had somehow telepathically entered into one of the Queen’s memories left behind in that location. As if to confirm their suspicion, Moberly came across a picture of Marie Antoinette drawn by the artist Wertmüller. To her astonishment it depicted the same sketching woman she had seen near the Petit Trianon. Even the clothes were the same. What can be concluded then from these anecdotal tales? Did these people actually travel, albeit briefly, into the past to glimpse scenes that once were? Or were they caught up in a form of haunting where, like an old movie, they saw a scene that had somehow been implanted in a location and allowed to “play back” again for those sensitive enough to pick up the lingering impressions? How can a haunting produce such physical evidence? Time slips are “often accompanied by feelings of depression, eeriness and a marked sense of silence, deeper than normally experienced,” posits author Andrew MacKenzie in his book Adventures in Time: Encounters With the Past, drawing this conclusion based on the Versailles time slip accounts as well as his own interviews with people who have experienced the phenomenon. Perhaps there is a natural phenomenon that under the right conditions and location can produce briefly a doorway to another time and place. Even though this may sound outrageous, this natural “time machine” could show that modern concepts and perceptions of time need to be seriously reconsidered. 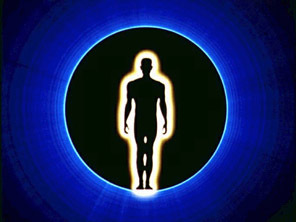 It may be that the past and even the future might be closer then thought with current scientific theories. With the right frame of mind and the right natural conditions, the barriers of time and space that have traditionally kept mankind locked into place may finally be broken, allowing the mysteries of the world and the universe to be finally revealed. Tim Swartz is an Emmy-Award winning television producer and the author of such books as: The Lost Journals of Nikola Tesla, Time Travel: A How-To Insiders Guide, and Teleportation: From Star Trek to Tesla. Tim Swartz is also the editor of Conspiracy Journal, a popular e-mail newsletter of conspiracies, UFOs, the paranormal and anything else weird and strange.